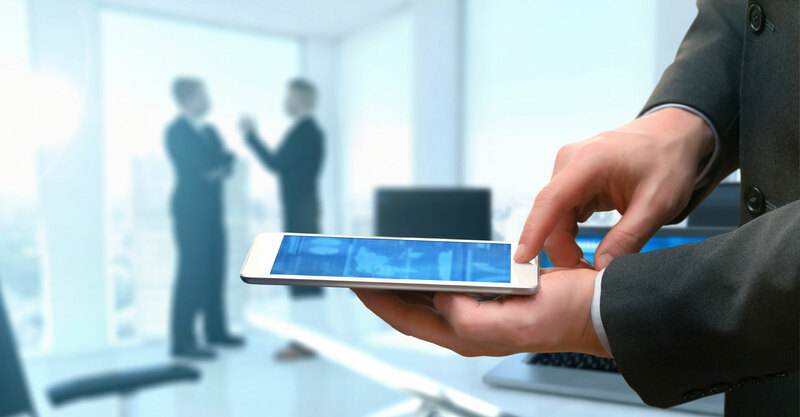 Enterprise Mobility Suite (EMS) helps to provide employees with secure and seamless access to corporate email and documents as well as familiar email and productivity experiences with Office mobile apps such as Outlook, Word, Excel and PowerPoint. EMS helps protect corporate data on the device itself and beyond with four layers of protection — all without affecting the personal data on the device. IT can even manage these apps without requiring the device to be enrolled for management. EMS integrates with Office and is the only solution that brings managed mobile productivity with Office across platforms, with or without a device enrollment. EMS manages access to all corporate resources, both on premises and in the cloud, with a single identity. EMS helps to protect at the identity, device, application and data layers. EMS is designed to run in the cloud from the ground up and work seamlessly with cloud services, such as Office 365 and on-premises infrastructure. The Enterprise Mobility Solution Designed for a Mobile-First, Cloud-First World. 1. Azure Active Directory Premium – delivers multi-factor authentication; access control based on device health, user location; and, holistic security reports, audits and alerts. 2. Microsoft Advanced Threat Analytics – helps extend the visibility, auditing and control you have on-premises to your cloud applications. 3. Azure Information protection – provides persistent data protection of files shared internally and externally, including the option to track, classify and label data. 4. Microsoft Cloud App Security – provides deep visibility and control of data inside cloud applications. 5. Microsoft Intune – makes it easier to secure and manage iOS, Android and Windows PCs all from one console. Deep integration with Office 365 helps keep company data secure in the Office mobile apps. Safeguard your resources at the front door. EMS calculates risk severity for every user and sign-in attempt, so risk-based conditional access rules can be applied to protect against suspicious logins. Protect your data against user’s mistakes. Gain deeper visibility into user, device and data activity on-premises and in the cloud to create more effective, granular level policies. Classify and label file at creation, track their usage, and change permissions when necessary. Detect attacks before they cause damage. Identify attackers in your organization using innovative behavioral analytics and anomaly detection technologies – all driven by vast amounts of Microsoft threat intelligence and security research data. Mobile apps without compromising your Office experience. EMS is the only solution built with and for Microsoft Office. This means that email and other Office files can be secured without compromising the Office experience – the gold standard of productivity. Enable easy access to resources. Sign in once for secure access to all corporate resources, on-premises and in the cloud, from any device. This includes pre-integrated support for Office365, Salesforce.com, Box, ServiceNow and thousands more popular SaaS apps. Enable users to protect and control data. Employees can encrypt virtually any type of file, set granular permissions, and track usage. The encryption stays with the file where it goes, enabling more secure file sharing, internally and externally. Work with what you have. Get an integrated set of solutions that are designed to work together with your on-premises investments, avoiding the need for costly and complicated integration efforts across point capabilities. Future-proof your investment. As a cloud solution that integrates with your on-premises infrastructure, EMS takes the worry out of scale, maintenance and updates. Simplify your set-up. To make deployment even easier, EMS comes with FastTrack – a Microsoft service that includes best practices, tools, resources, and experts committed to make your experience with EMS a success.